This is one of the best imported carving stones to become available in years with strong coloring and wonderful character. 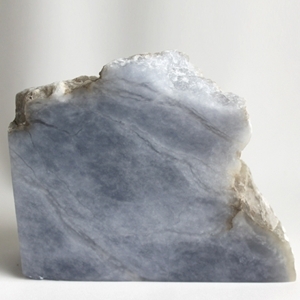 The colors of this alabaster range from a light to medium blue hue. The stone is pure and smooth-grained with almost no flaws for great carving. Any dirt deposits which may be present are easily removed by softly rasping and/or chiseling the area.